Hi everyone! 🙂 While we’re in the middle of the Affirmation Challenge, I’d like to announce our upcoming Singapore PE readers meetup! Every year I have at least one PE readers meetup in Singapore (since that’s where I reside), usually in the month of June, in conjunction with my birthday that’s on June 25. To date, we’ve had three meetups! Since I was busy getting married in May and then subsequently with honeymoon and house-moving in June and July (even today), I haven’t been able to arrange a PE readers meetup for this year! Well, I’m excited to announce our FOURTH Singapore PE readers meetup! 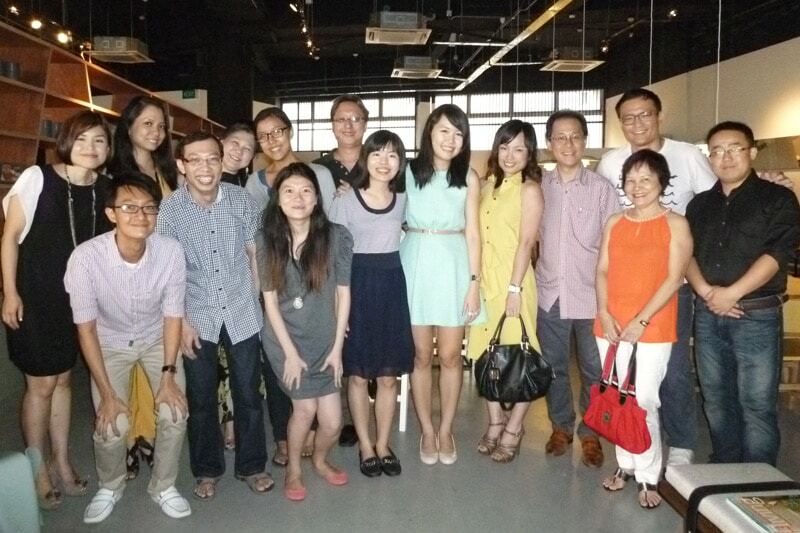 😀 This meetup will be a belated celebration of my birthday, as well as a farewell for one of our long-time PE reader, Wanxuan (she is the lovely lady in a grey long dress in the picture above! ), who is moving to China next month to be a language teacher! ALL of you (in Singapore) are invited, whether you’re a long-time reader or a new reader at PE! Check out their website and menu at 7 Sensations. 279 Jalan Besar Singapore 208943. (Check out the location on Google Maps.) It’s about 10 minutes walk from Farrer Park MRT; after getting off the MRT, you have to cut through City Square Mall first, after which it’s about seven minutes by foot. If you’ve been to 7 Sensations before, they are no longer at Millenia Walk, but have shifted to Jalan Besar (the address indicated above). So don’t go to the wrong place! 27 July / Sunday, 6:30pm (dinner). Come between 6:15 to 6:30pm to settle down and place your dinner order! Please don’t be late as I tend to wait for everyone to arrive first before doing introduction/ice breaking, so that we can know each other together. The problem is that those who arrive on time end up waiting, but if we start the introductions on time you’ll wind up missing others’ self-introductions… so it’s really a lose-lose scenario when someone is late! I should be there at 6:15pm (if not earlier)! Seats are reserved for us from 6pm onwards. Name of any friends/family to bring along — You are welcome to bring your friends/family along, even if they don’t read PE (yet)! After all, it’s all about meeting like-minded people and making new friends. You’re welcome to the more, the merrier! Agenda for the meetup will be getting to know each other (and giving me the opportunity to know you better! ), making new friends, and having conscious discussions about life and personal growth. 🙂 It doesn’t get any better than this! As seats are limited, please only RSVP if you’re serious about coming. I’ve had past meetups where the people RSVP but don’t turn up (without any explanation), and frankly speaking, it is not cool! 🙁 Do RSVP only if you are sincere about coming, because to do so otherwise will only make event planning difficult (for me) and also potentially rob someone else (who truly wants to come) of a spot.